Sorry to disappoint the sci-fi junkies out there, but futuristic movies that portrayed glistening silver cities filled with metallic buildings might have missed the mark. The world is slowly but surely becoming a more environmentally responsible place filled with natural and recyclable materials. So, rather than cities of silver, our future will more likely consist of earthy metropolises filled with nappy roofing and cork flooring. Cork is recognized as one of the few renewable and sustainable natural resources. Coming from the bark of the cork oak tree, cork is harvested when the tree is 25 years old. The bark regrows every 9 years and the harvesting process leaves the tree undamaged. Cork is an incredibly versatile building material. 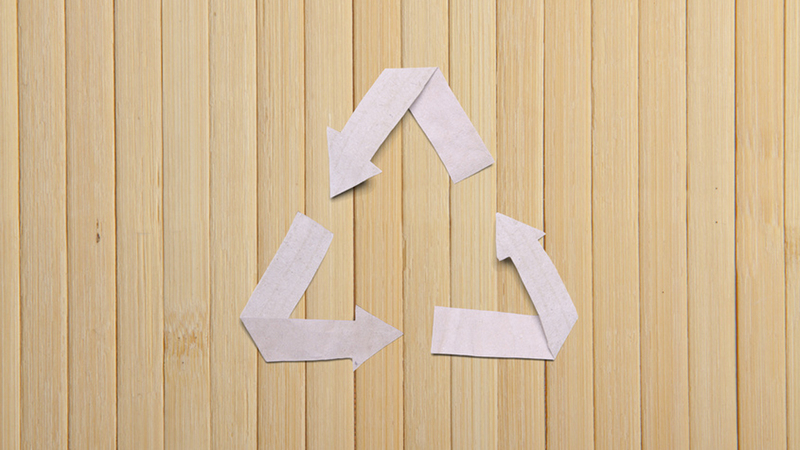 Most commonly used for flooring, the manufacturing process creates next to no waste. In fact, the residuals from the production process of cork stoppers for wine are used to create the flooring. As a building material, cork is durable and can last up to 40 years if well-maintained. It is also creates a plush surface that acts as both a natural sound absorber and thermal insulator. It might sound gross, but the fibres in soiled diapers and sanitary pads can be recycled into re-usable plastic that can be formed into roof tiles and other building materials. A key player in this movement is a UK-based company called Knowaste that recognised that more than 750,000 tonnes of nappy waste was being disposed of in the UK each year. The company collects these products, washes and dries them (all liquids and solids are sent to the sewer) and processes what remains into plastic pellets that can be reused for other purposes. The resultant nappy roofing tiles are UV resistant, ultra-light weight (which makes for easy installation), and non-corrosive. It also provides good thermal and acoustic insulation. Reversing the process of turning wood into paper, a Norwegian company has created a way to turn newspaper back into wood. This product is created through an upscaling process that layers a series of papers to appear like grains of wood. The end product can be used to create various products, from kitchen cupboards to shelving and other furniture. Though not intended as a large-scale alternative to wood owing to its various limitations (strength and size being limited to the properties of newspaper), but does pose a part-solution for the amount of paper waste we create each year.